Soft feel, protective, showerproof peva material. 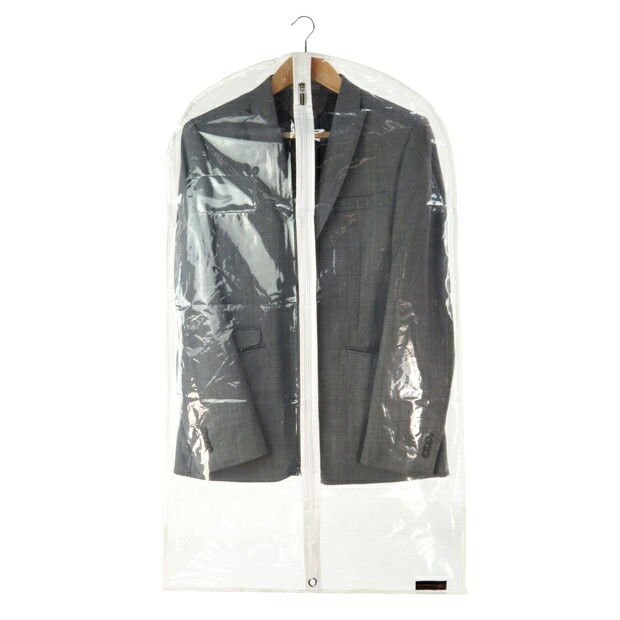 Protects clothes against dirt, dust and moths - sealed at lower edge. For use when travelling and storing. Full length frontal zip with white trim. Lower grommet for hanger hook allowing easy carrying whilst folded in half. Shaped shoulders, narrow top slit for hanger hook to help protect against moths. Size: length x width: 40'' x 24'' (101cm x 61cm) approx.